During my last semester of college, I took an Introduction to Chicana Studies class in which I read a lot about HIV transmission between the United States and Mexico. In the book we used, Latina Activists Across Borders, activists in Michoacán argue that women are infected with HIV by men who migrate to the United States and then bring it back to Mexico. While there is a lot of truth to that, the way our two countries interact on this issue is a little bit more complicated. We need to have a more complex conversation about migration and HIV/AIDS than the one we’re having. 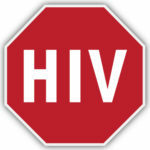 Often, HIV is constructed as something that is spread between “immoral” people. When it comes to transnational transmission, the country the disease comes from is seen as “immoral” or “dirty.” In the United States, we have just as many beliefs about HIV coming into the country from Mexico as the other way around. But who is right?